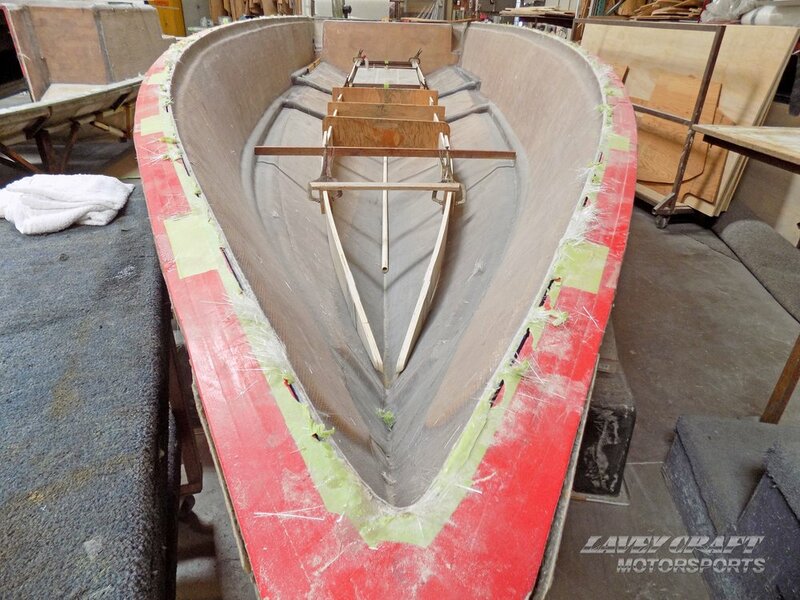 Once the hull is built and assembled, this Lavey Craft 29 NuEra will be rigged by Boats Unlimited located in Texas. We are very happy to be working with John on this project. 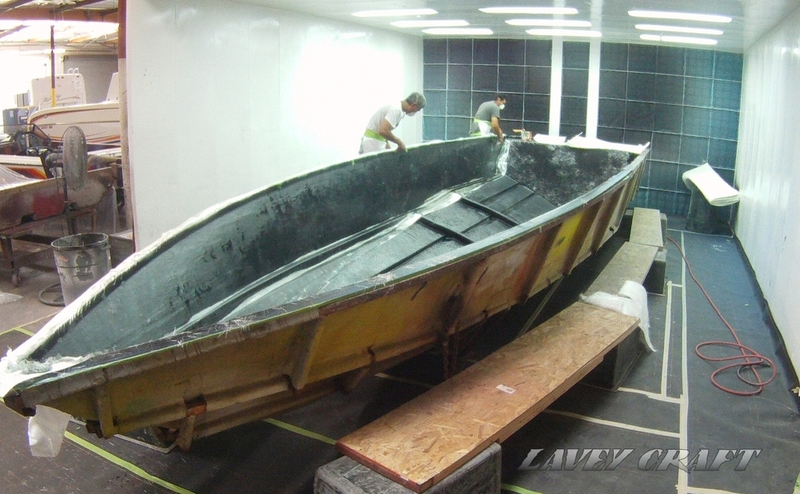 Building a hull, a sturdy and reliable one, is a complex process which requires tremendous experience and extreme talent. 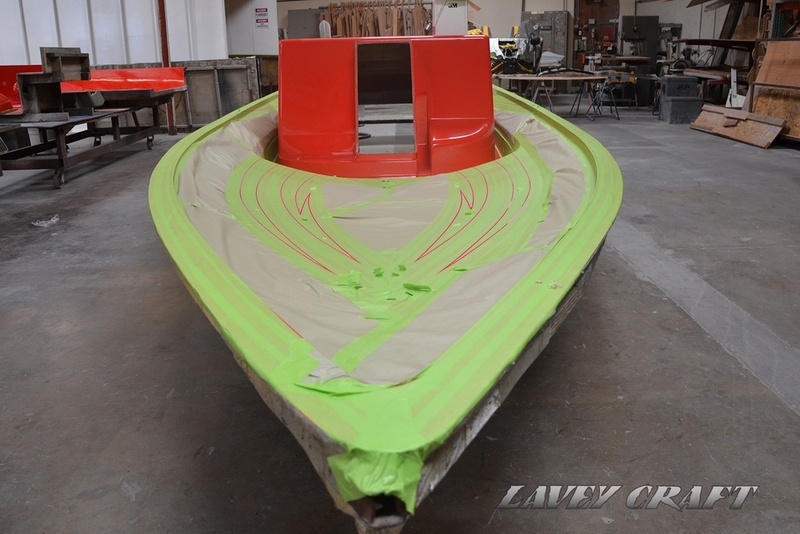 Our Lavey Craft experts have decades of experience with each step, and we use nothing but premium materials. There are many chemicals involved as well, and one need to know exactly how and when to mix them. Something as benign as the ambiant temperature can have disastrous results on the chemical reaction if not done properly. 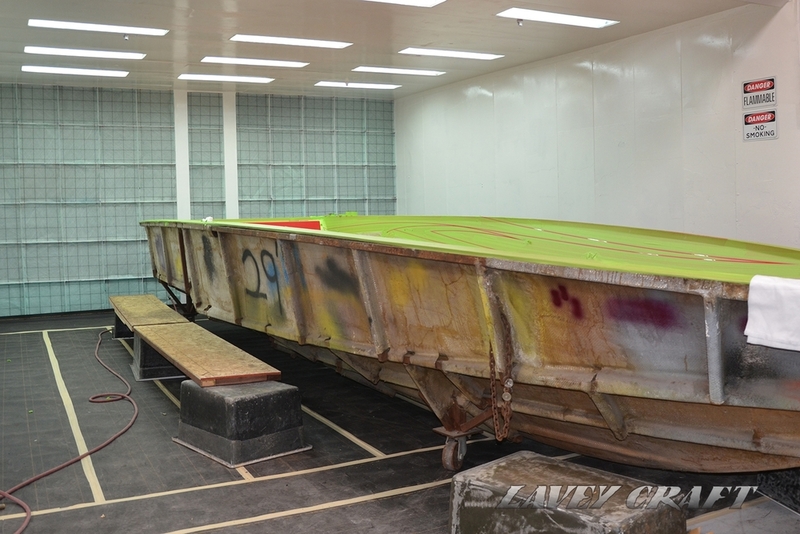 One of the hallmarks of Lavey Craft construction quality is the vacuum bag process. 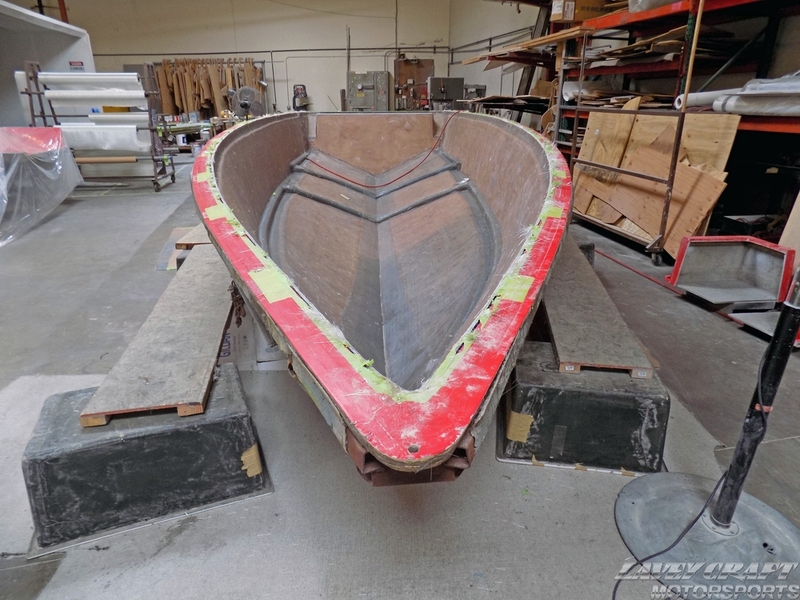 Many manufacturers say that they do it, but in reality, either don't or do a very light version of it. Ask to see their equipment and ask questions about their process to remove any doubt. 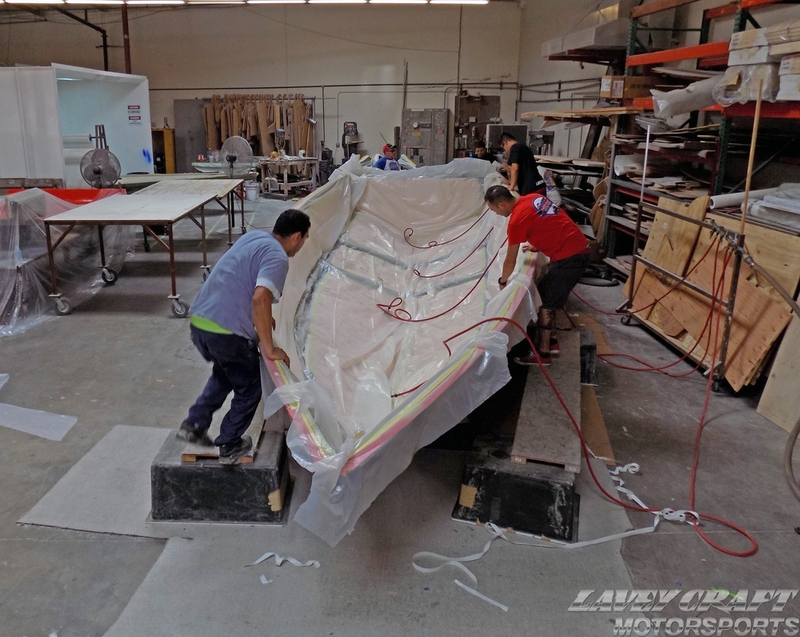 The vacuum bag process exponentially increases the strength of the hull: it insures uniform pressure during the bonding between the core material and the laminate/fiberglass, while thoroughly impregnating the balsa core with the bonding agent. 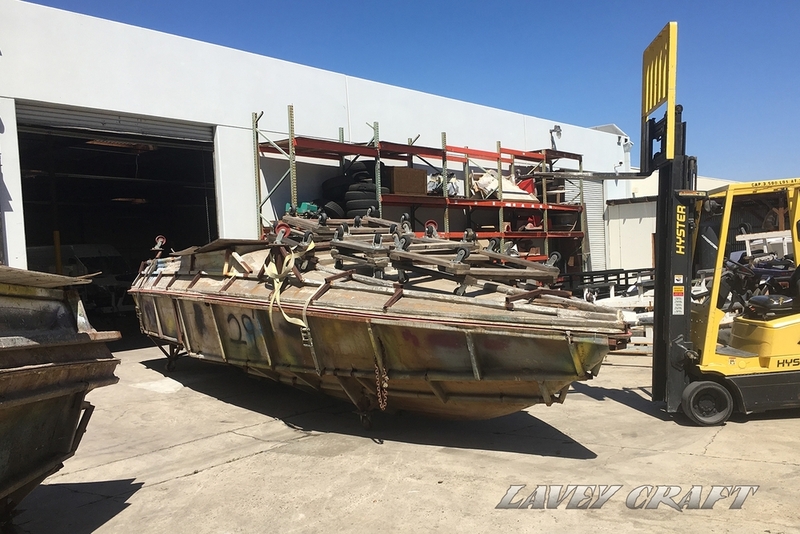 At Lavey Craft, we have your safety and satisfaction at heart, we deliver nothing but the best quality! IMPORTANT! Please take note that this is a special project. 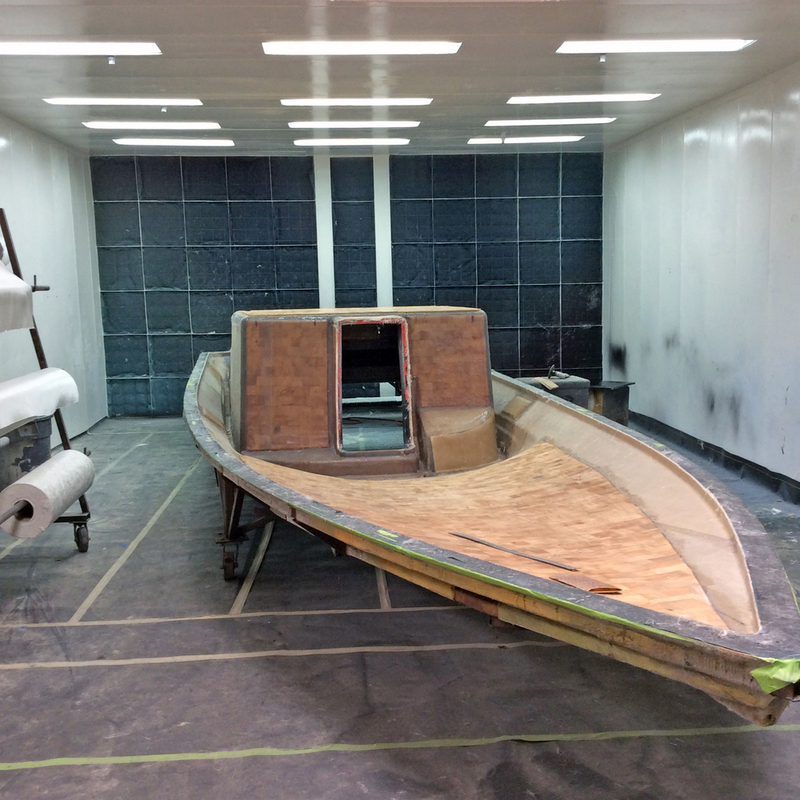 It takes an average of 12 weeks to build a new boat, from start to delivery. 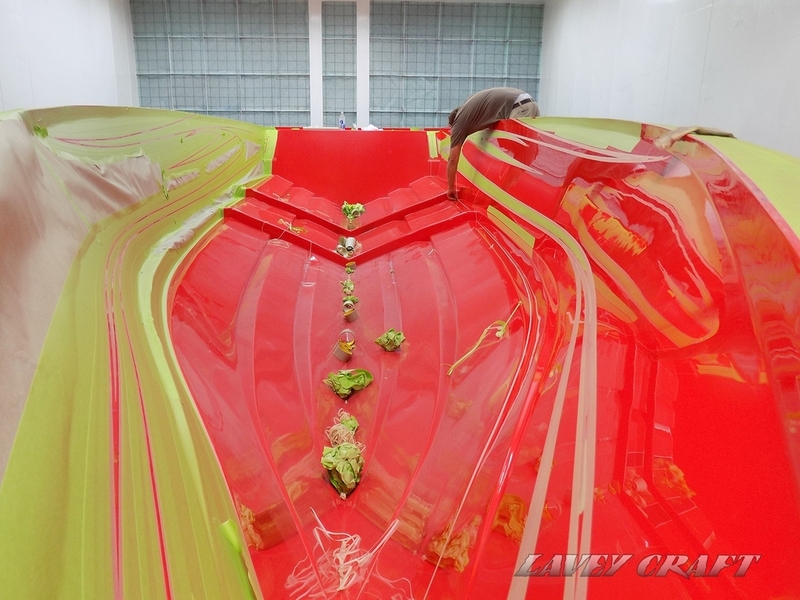 This step is completely mind-boggling, mesmerizing and it takes a real artist to achieve it. 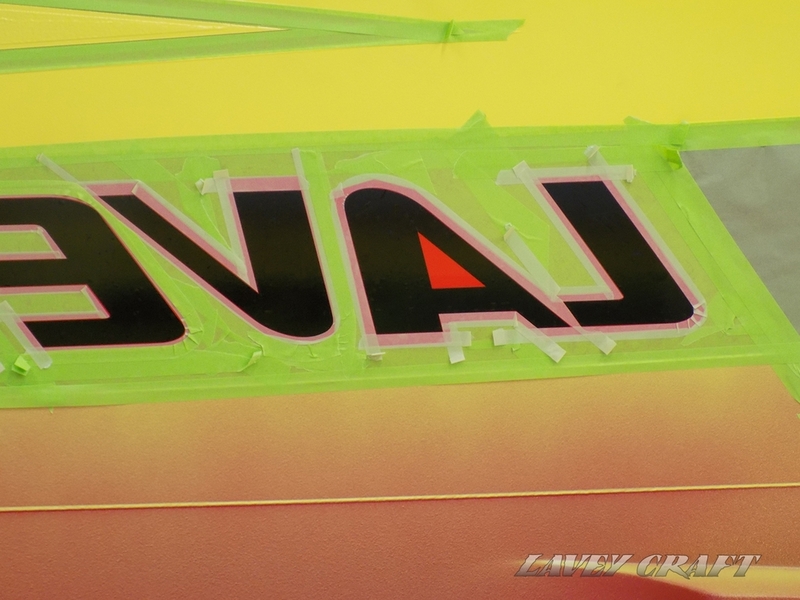 Everything has to be done backward, from taping to colors, spraying and un-taping. 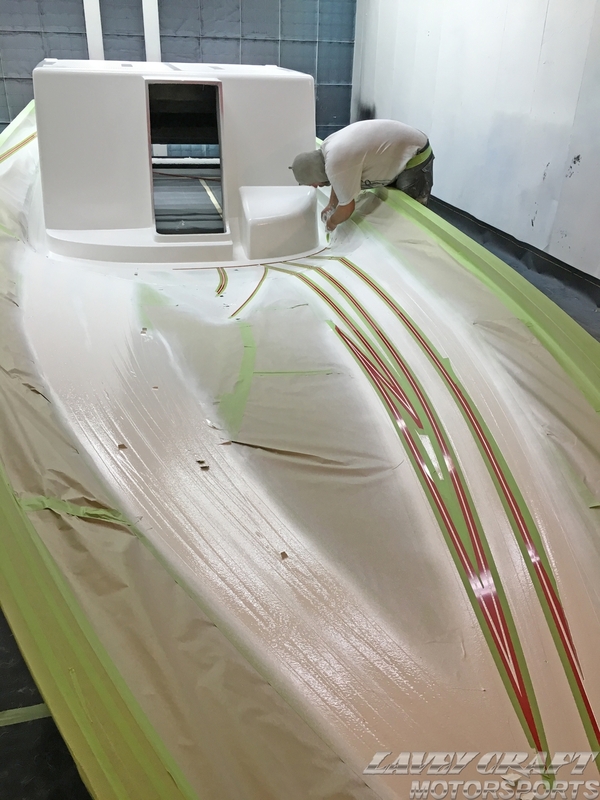 After a few days of the gelcoat setting/drying, the fiberglass is being applied and hand rolled with our special sauce for extreme durability and quality. 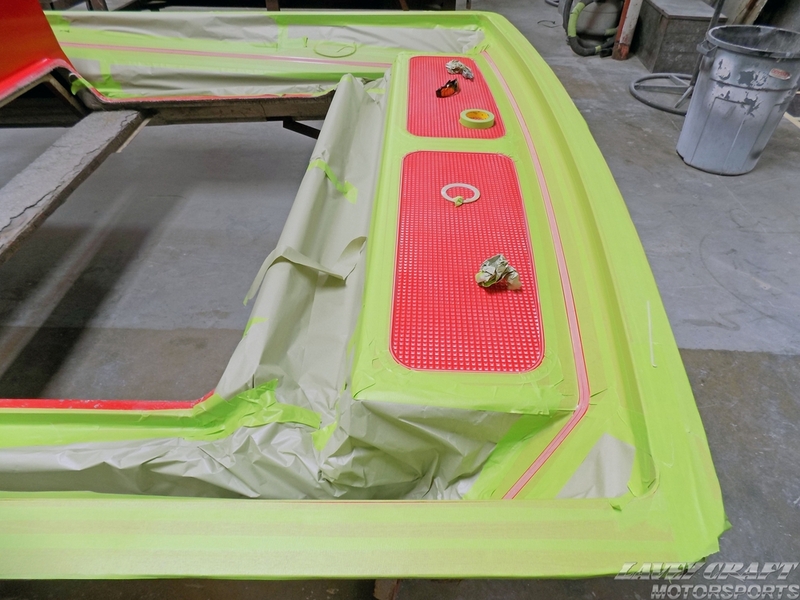 Several layers of different thickness of fiberglass are applied everywhere, and numerous more in critical areas. 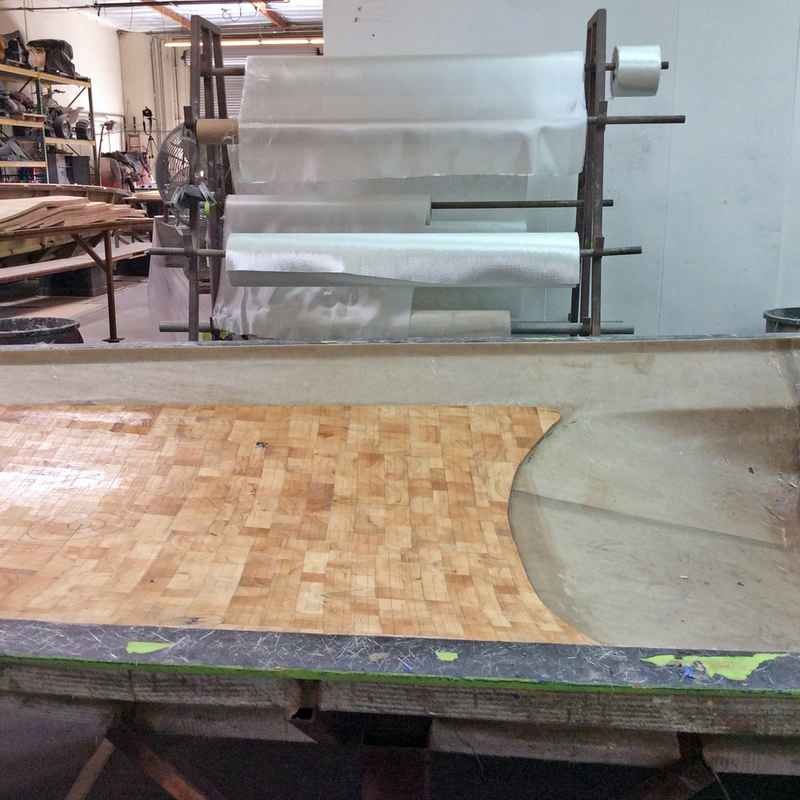 This layering process happens with days in between in order to allow proper curing. Vinyl esters are more tolerant of stretching than polyesters. This makes them more able to absorb impact without damage. They are also less likely to show stress cracking. Vinyl ester has fewer open sites in its molecular chain. This makes it much more resistant to water penetration ('hydrolysis') which can cause osmotic blistering. 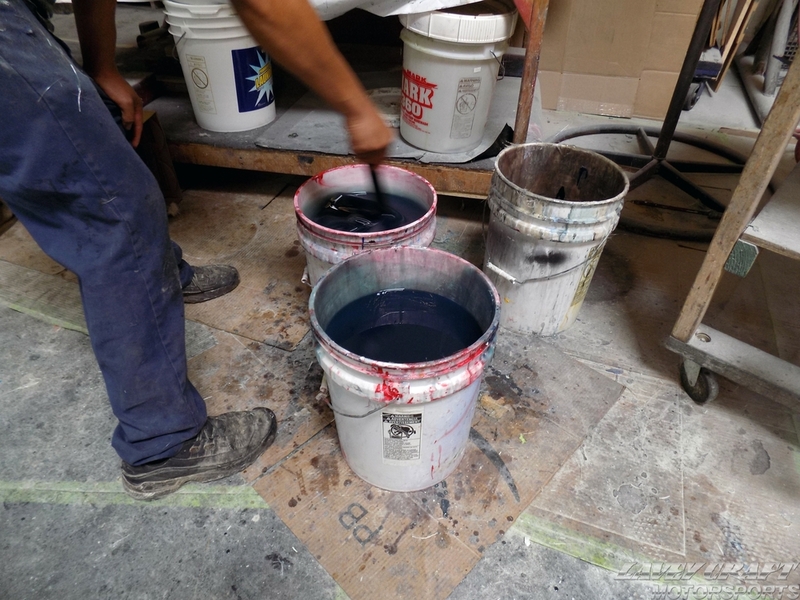 Vinyl esters shrink less on curing, which means that 'pre-release' of a laminate from a mold is less significant. The cross bonding of vinyl esters is superior to that of polyesters. This means that vinyl esters bond to core materials much more effectively than polyesters and delamination is less of an issue. Vinyl esters are less sensitive to ambient conditions (temperature and humidity) than are polyesters. 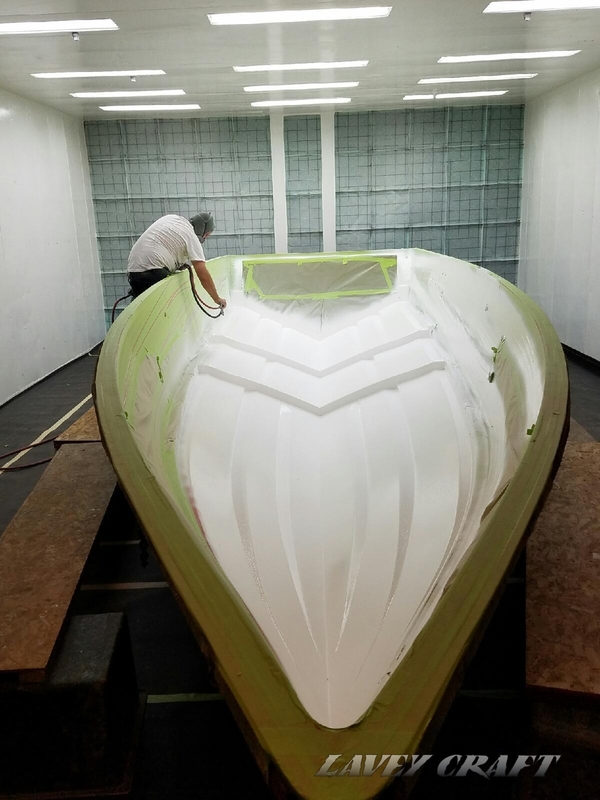 Bottom line, if you're about to spend tens of thousands of dollars on a new boat, make sure you don't overlook this very important detail; not only ask about the lamination process and chemicals used, but also ask to physically see the containers in the shop. 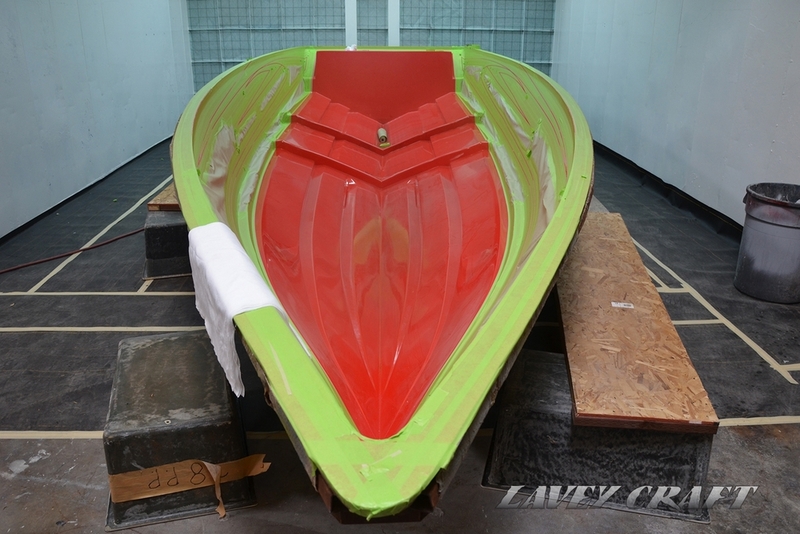 The strakes are filled with balsa wood and a special compound. Then more layers of lamination are applied. 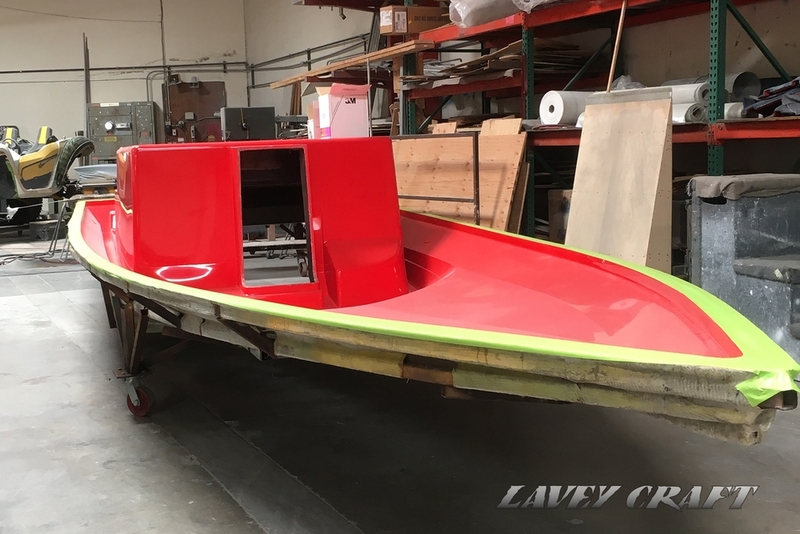 Customers have a choice of core materials with Lavey Craft. 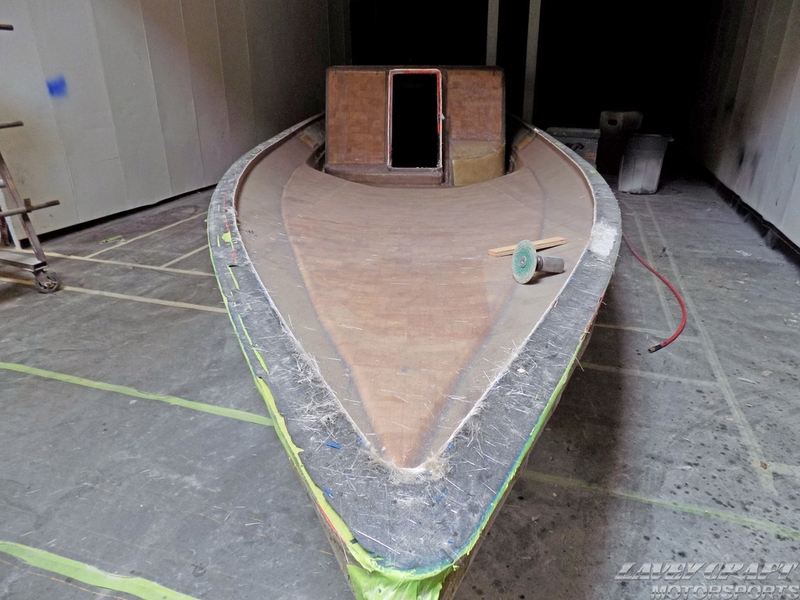 Out of a variety of available core materials, the most popular one is end grain balsa wood. If you look at the spec's, compared to man-made materials, it's hard to beat mother nature. 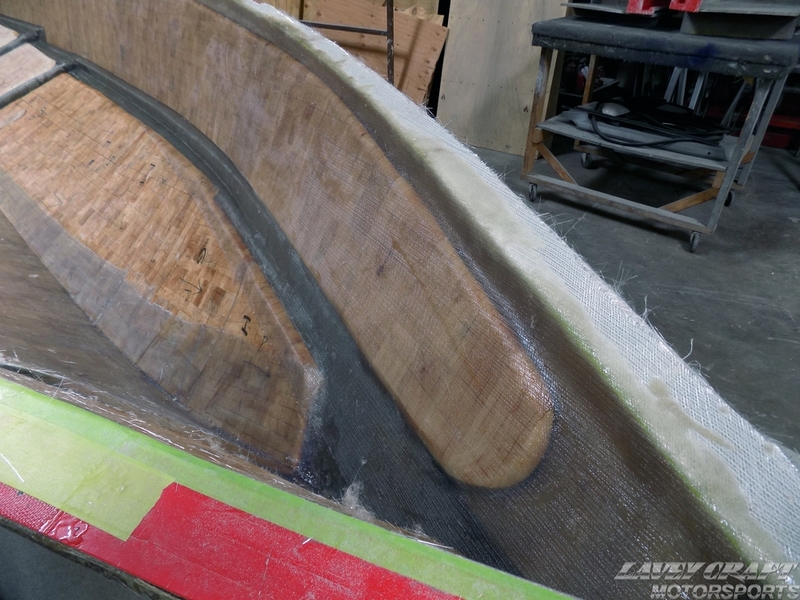 Balsa is light-weight, yet has incredible tensile, compressive and shear strength, so much so that aerospace companies use balsa. 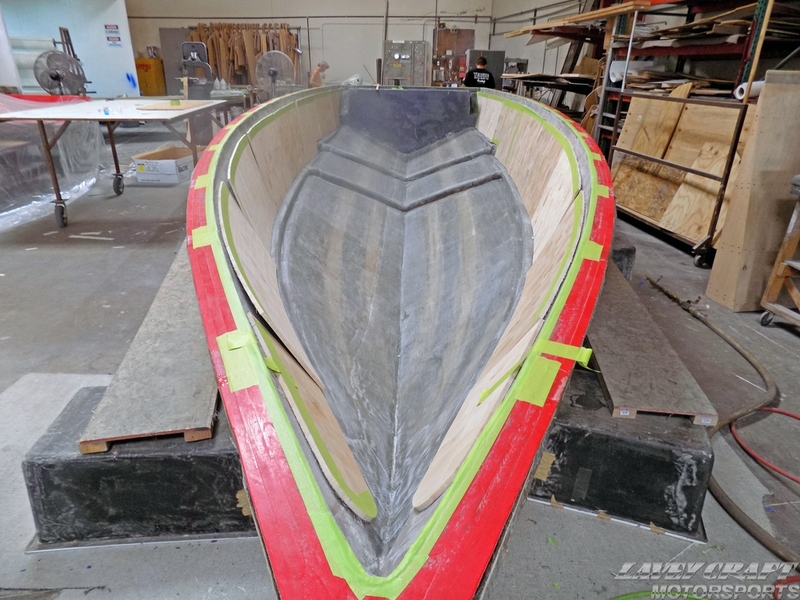 Once the balsa is applied, a final layer of lamination goes over it to seal it all. 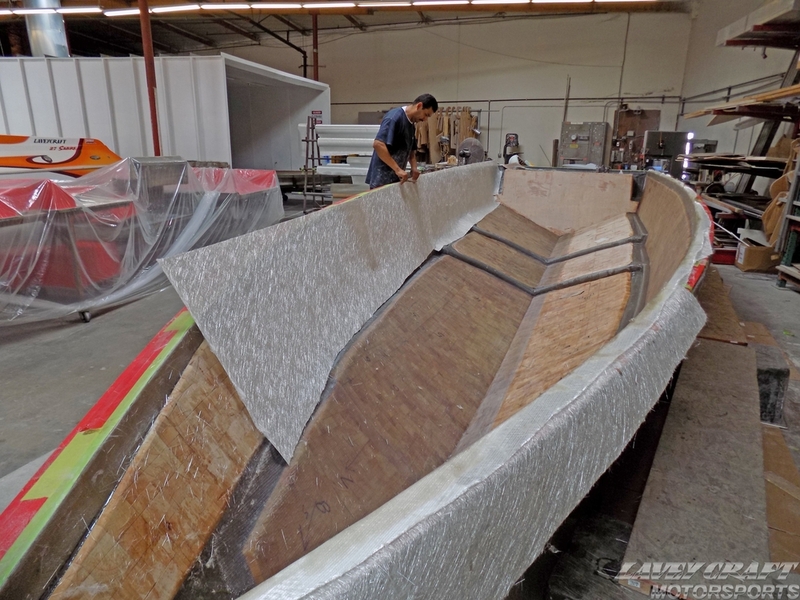 As for the hull, after several layers of fiberglass/lamination and proper curing, the balsa wood is cut and installed dry like a jigsaw puzzle, numbered, then removed and readied for installation. 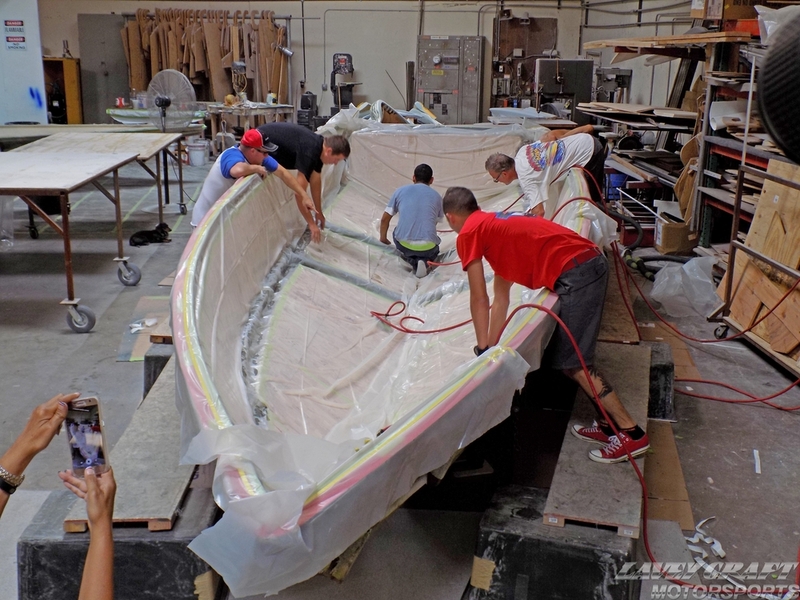 Once we start applying the layer of resin before putting the balsa wood in place, we only have a very short window of time to do so before the chemicals start reacting, so great team work is required, and people need to move fast. 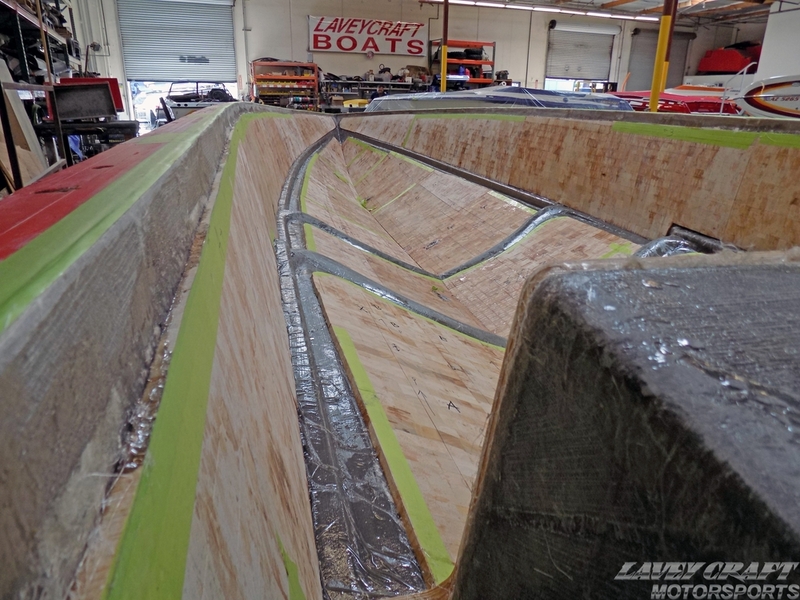 After the balsa is in place, the bag and accessories are installed and secured for the last step of the process to be completed. 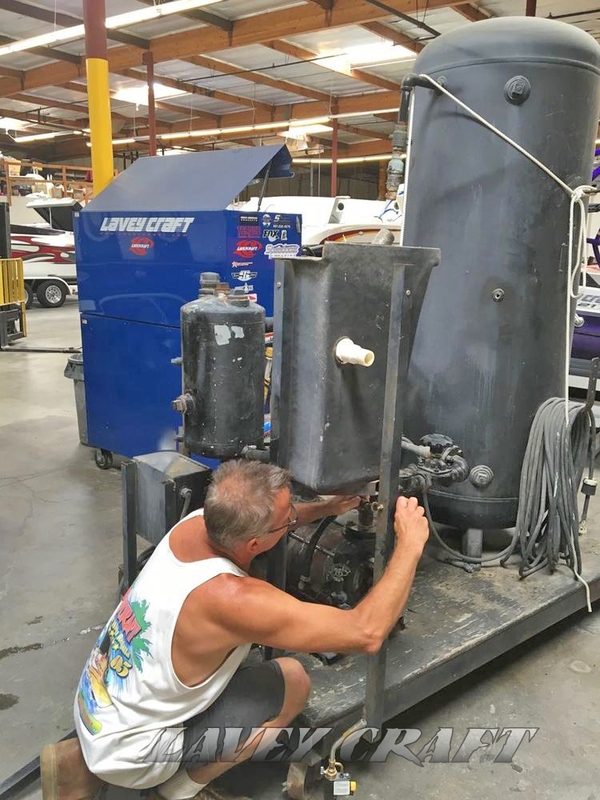 You can read more about the vacuum bag process at the top of this page. 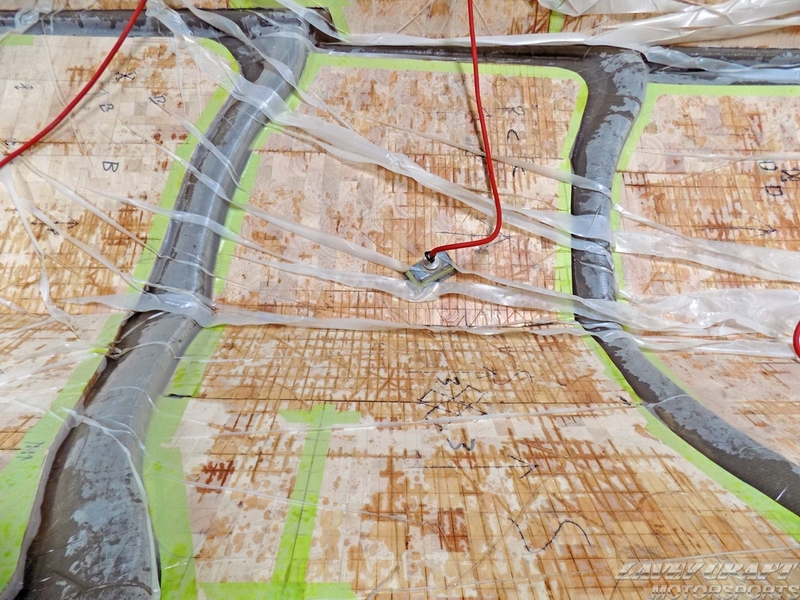 Once the vacuum bag is removed and the appropriate period of curing is over, the final lamination is applied. 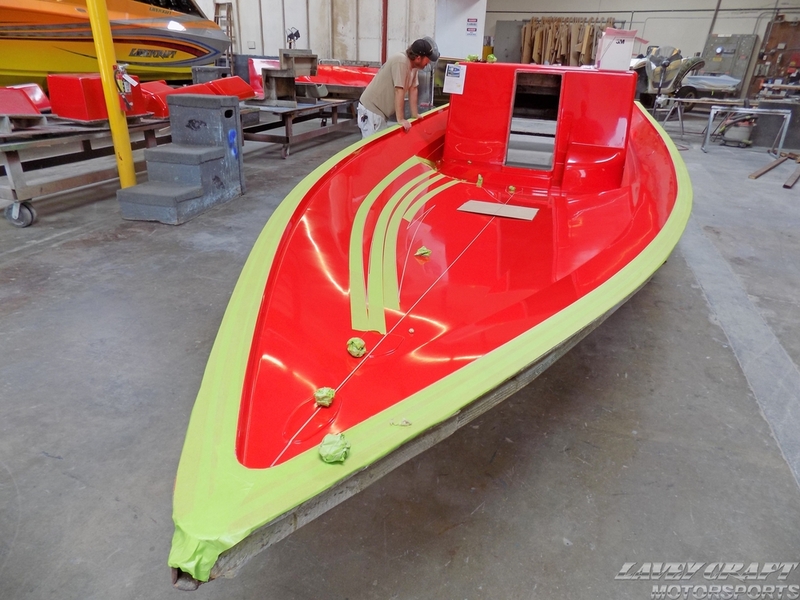 Stringers cutting, leveling and lamination, as well as gas tank fitting. 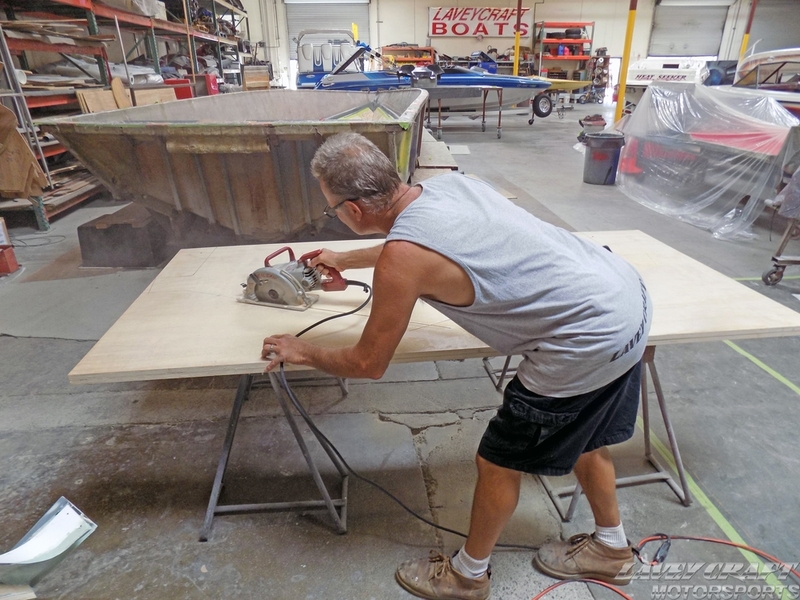 We fill in all the gaps between the stringers and bottom of the hull that's created from small variances in laminate thickness and the cut of the stringers. 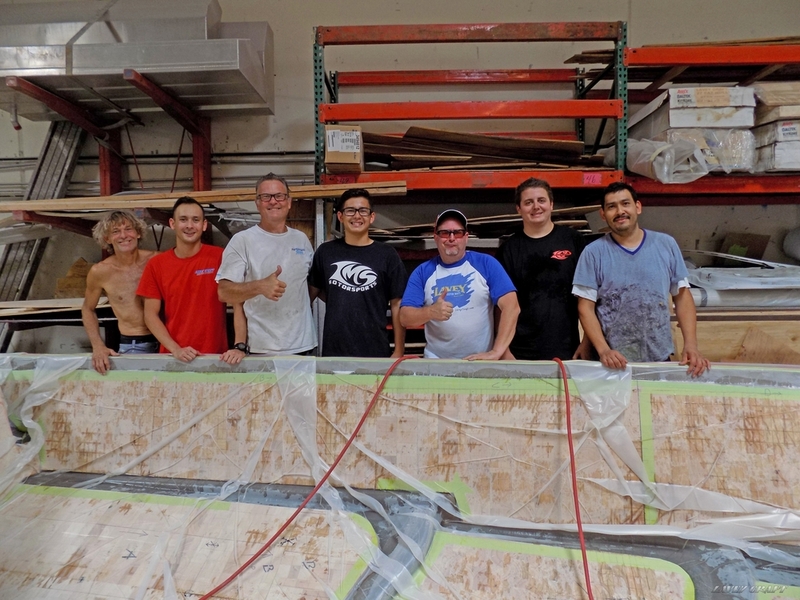 It is nearly impossible to get a hand cut 30' long piece of wood to sit perfectly on raw fiberglass, but we make sure that the two are flawlessly bonded. 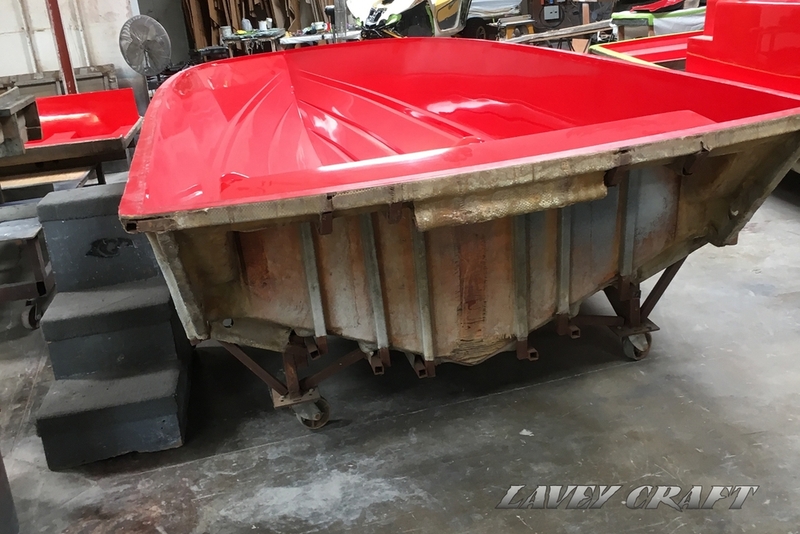 After numerous steps, lots of curing and fabulous team work, this hull came out of its shell on a rainy Monday morning, in mid-October 2016. 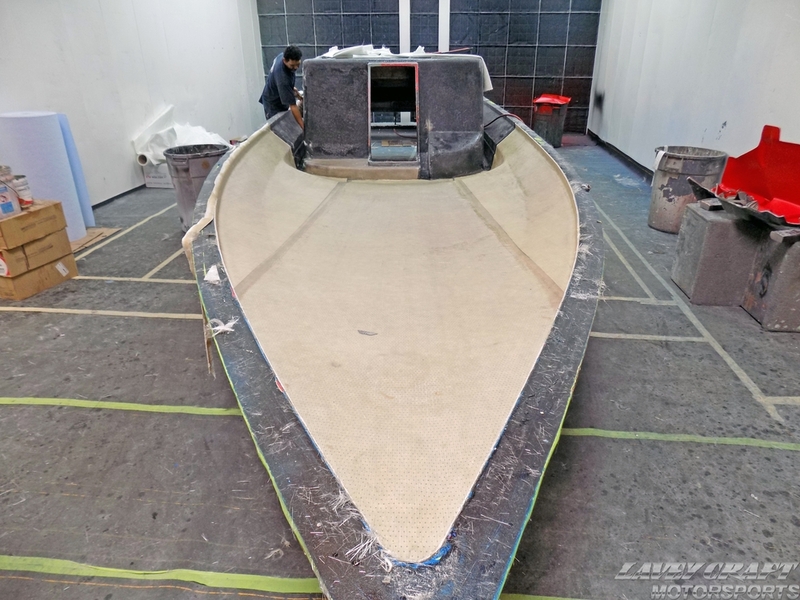 After smoothing the edges, installing the gas tank, and working on many other details of the sort, it is time to marry the deck to the bottom hull. More pictures coming soon. 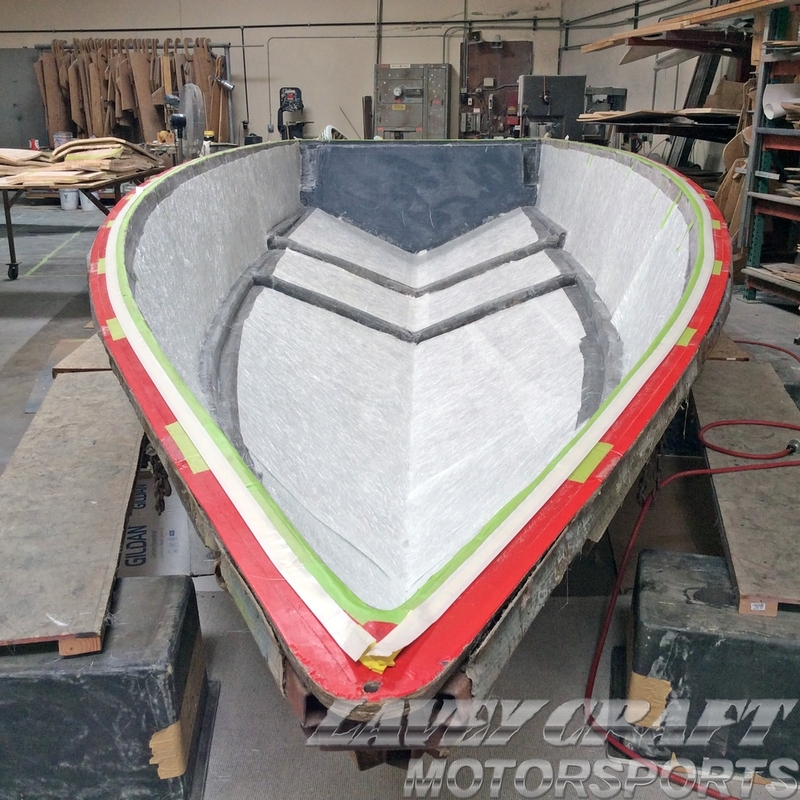 Undergoing, please stay tuned for pictures!